Visa, the world’s leading payments network, announced yesterday that its client financial institutions in Nigeria have surpassed 5 million cards in market. Visa celebrates this achievement as Nigeria’s banking sector moves towards its goal to replace costly inefficient forms of payment with more efficient, secure, convenient and reliable ways to pay and be paid. Year on year transaction volume on Visa cards in Nigeria has grown 70%. The drive to make Lagos a cashless economy means that the adoption of card technology is growing at a rapid pace. While the number of cardholders is growing steadily, the number of places available to use these cards is also growing to meet increasing demand from the Nigerian consumer. 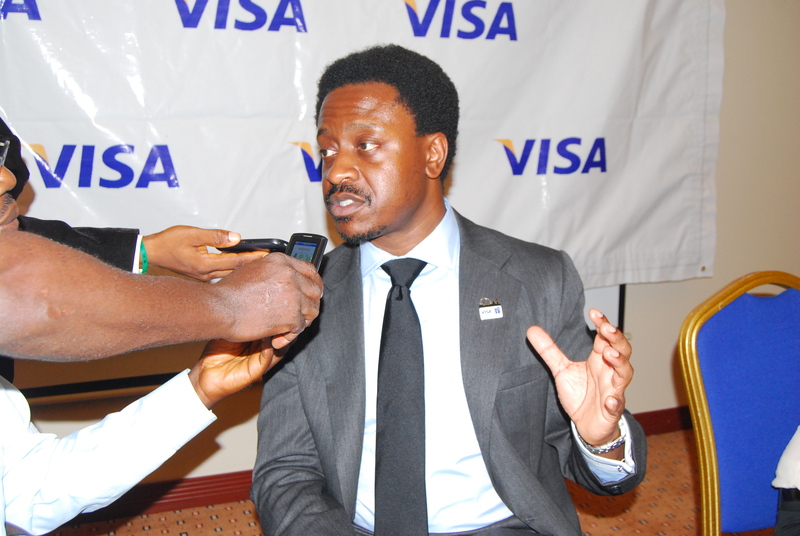 “Visa is ramping up local in-market presence to support growth in Nigeria and the push towards electronic payments. We are committed to providing the right in-market support to ensure we are fully catering to the needs of our local partners,” said Ade Ashaye, Country Manager for Visa West Africa. The past year saw a 75% increase in usage of Visa cards at the point-of-sale in Nigeria. Introducing product features such as chip and PIN in Nigeria is part of Visa’s strategy to provide consumers with more secure ways to make electronic payments. “By employing more people on the ground and investing in local talent, we are playing our part in building capacity within Nigeria. We are also positioned to help merchants to understand the value of card acceptance and keep up with this increase in point-of-sale usage,” added Ashaye. Innovation is key to Visa’s growth, and through investments in mobile technology, Visa provides the underlying platform for a number of the licensed mobile money operators in Nigeria. Visa plans to introduce in the latest mobile money features in Nigeria to ensure local mobile money customers can participate in the newest payments ecosystem. Electronic payments are critical to development of a strong, modern economy. Visa products can promote transparency and accountability, reduce transaction costs and decrease the size of the gray or informal economy, all of which helps to stimulate economic growth and employment. A growing acceptance infrastructure also gives merchants access to millions of consumers worldwide, guarantees payment for goods and services, and enhances the point-of-sale experience for their customers. The stability of a banking system grows with each new consumer achieving financial inclusion. This in turn has a positive and lasting effect on the economy, social reform and government efficiency. “By driving both card acceptance and card issuance through our partner banks, we hope to underpin Nigeria’s efforts to achieve these goals,” concluded Ashaye. Recent research undertaken amongst Nigerian football fans that are mobile phone users has shown that there is a strong correlation between football viewing and cellular activity, with the majority utilizing their mobile connectivity to enhance their enjoyment of their favourite sport. The research was conducted by InMobi, the largest independent mobile advertising network that enjoys some 43% of Nigeria’s mobile web consumer market. It targeted 2 854 respondents via the InMobi global mobile advertising network in Nigeria, and was undertaken during the time of the UEFA Champions League semi-finals with a view to gaining a better understanding of fans of this tournament who utilise mobile channels as primary or secondary viewing and information sources. According to Isis Nyong’o, Vice President and Managing Director of InMobi Africa, the research showed that the majority of Nigerian mobile users who are football fans use mobile online channels to augment their viewing experience. At 29%, Chelsea enjoys the honours as the most favoured international football club, but only 24% of respondents peg them as the potential winners of UEFA 2012, while 43% say Barcelona will be victorious and 31% are putting their money on Real Madrid. Samuel Eto’o (33%) and Yaya Toure (28%) are considered the best African footballers in the world today, outstripping their closest rivals, Alex Song (8%), Emmanuel Adebayor (7%) and Demba Ba (7%) by a large margin. Interestingly, the research revealed some significant shifts in mobile activity by users before, during and after high profile football matches, with sharp spikes in mobile activity to check game scores, text friends and family members, and post on social media while games are in progress. After games, there is generally an increase in mobile usage to buy club memorabilia and read game reports. Responses by survey participants point to the fact that the UEFA Champions League and the Barclays Premier League are Nigerian football fans’ most popular international tournament and football league, garnering 78% of respondents’ votes respectively. More than 50% of respondents associate the Barclays brand most with football – significantly more than its closest rivals, Adidas (33%), Nike (28%) and MTN (22%). InMobi, the largest independent mobile advertising network, today announced the launch of its new mobile conversion tracking platform.Providing real-time analytics, this platform will allow advertisers to measure multiple conversions on both mobile web and app campaigns, across all advertising networks and publishers. The InMobi AdTracker is separate from the InMobi ad network, not reliant on UDIDs, and is completely free to integrate and use. This combination provides the only independent, scalable and cost-effective solution for managing mobile campaign performance in a rapidly growing market. Ability to define bespoke goals, for example, downloads, registrations, payments etc. A HP roundtable discussion yesterday emphasized the vital role of intellectual property (IP) as a catalyst for economic, social and cultural prosperity. Panelists agreed that more people would respect IP and avoid counterfeits if they had a better understanding of how trademarks and copyrights drive economic innovation and enhance personal lifestyles in areas such as health care, technology and leisure. In addition to improving the quality of life, IP-protected music, medicine, print cartridges and other everyday consumer items inspire others to innovate and create with the hopes that they, too, can enjoy the rewards that come from original thinking. Speakers provided these insights at the ‘Be Original conference on Intellectual Property & Innovation: A Virtuous Cycle organized by HP to mark World Intellectual Property Day, which is celebrated on April 26. The participants included, former Business editor, Guardian Newspaper and also former News Editor Nigerian Television Authority (NTA), Dr. Isah Momoh; Mr. Kenneth Esere a lecturer of New Media, Visual Communication and Graphics design in the School of Media and Communications, Pan African University and Mr. Chude Jideonwo, lawyer, television personality, youth advocate, media entrepreneur and founder/creative director of RedSTRAT. Panelists noted that while it’s important to promote the benefits of a robust IP system, it’s equally crucial to educate society on the threats of counterfeit products. Most fakes are made with inferior raw materials and components and don’t perform as well as brand-name goods backed by decades of research and development and testing. “The understanding of IP protection begins with a consciousness. We, as a society must begin to understand that counterfeit products destroy innovation and drive the economy down. We must push government to introduce stiffer penalties to protect IP and make government to realize that it is the wealth of the Nation. We must all stand up for what is right,” said Dr. Momoh. Chude Jideonwo, a youth advocate, magazine publisher and serial media entrepreneur pointed out that the role of law enforcement is critical. He said that greater prosecution of IP infringement including tougher sentencing will send the right message. Nigeria is among the countries where the manufacture and distribution of fake printing supplies and other illicit merchandise is widespread. According to the World Economic Forum, Nigeria ranks 104 out of 142 countries in the protection of IP rights. 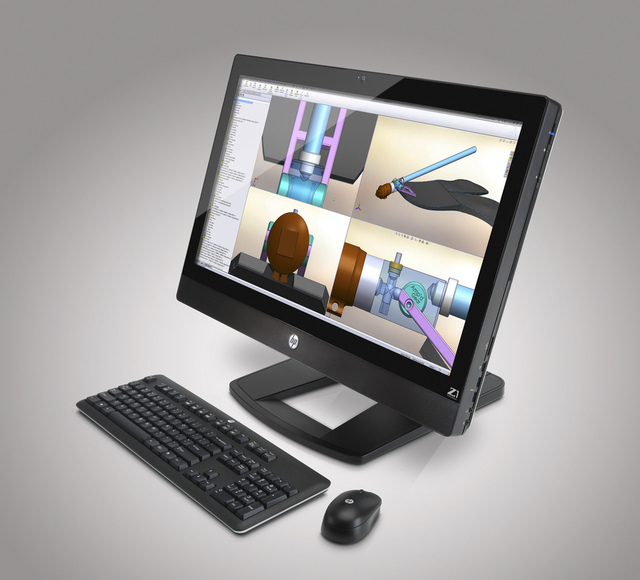 HP is one of the biggest owners of intellectual property, with a portfolio of over 37,000 patents. Many of these are held by PPS which manufactures not just printers and scanners but the ink and toner to supply them. 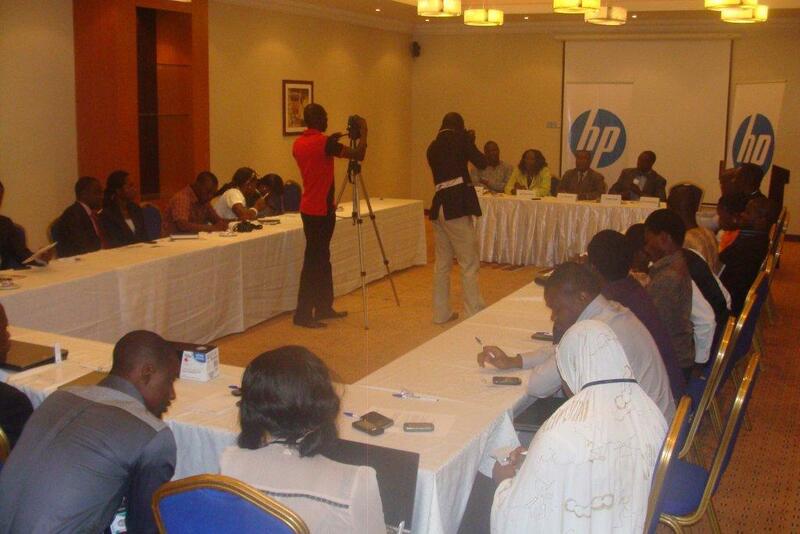 Through its Anti-counterfeiting Program, HP actively educates its customers and partners to be vigilant against fake printing supplies. It also cooperates closely with local and global law enforcement to detect and dismantle illegal operations that produce counterfeit HP printing components. 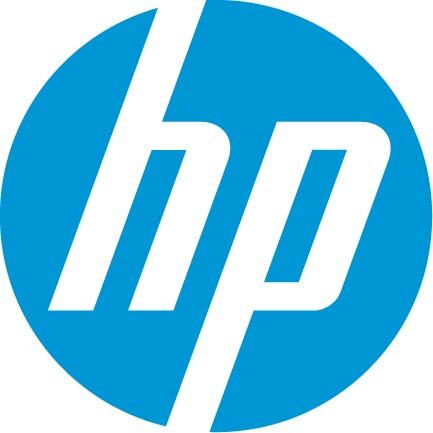 Across Europe, the Middle East and Africa (EMEA) over the last four years, HP has conducted nearly 1,000 investigations, resulting in over 600 enforcement actions (raids and seizures by authorities) and nearly 8 million units of counterfeit products and components seized, thus preventing them from being sold in the EMEA marketplace and beyond.